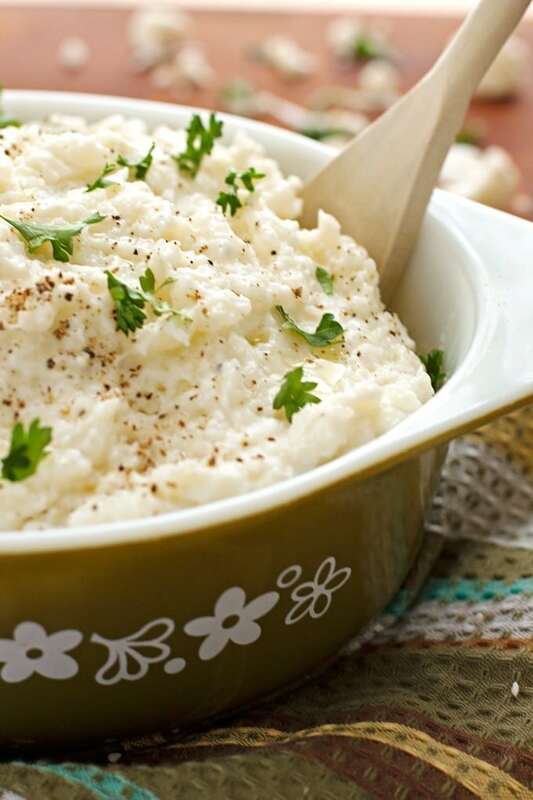 Creamy mashed potatoes are a real treat for me, and are a staple of many holiday meals. The first time I tried this cauliflower mash, I almost couldn’t believe it wasn’t actually made of potatoes. 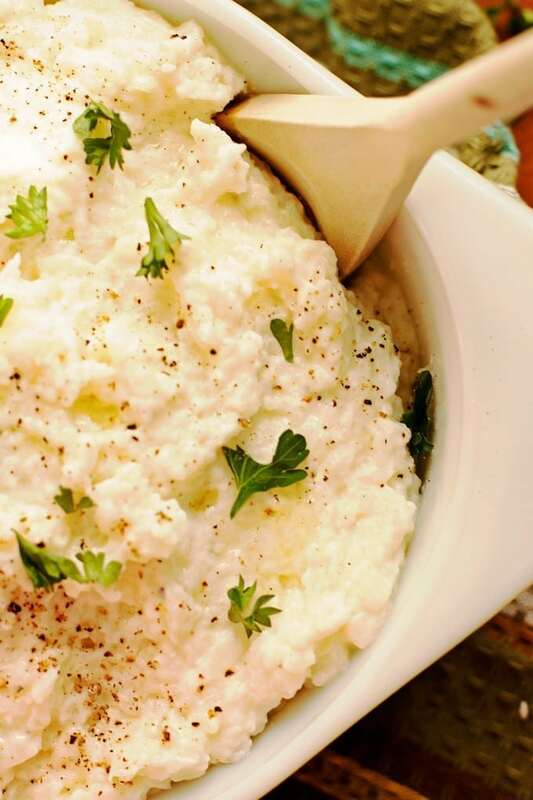 The ingredient list for this cauliflower mash is surprisingly short – cauliflower, unsweetened greek yogurt, and olive oil. 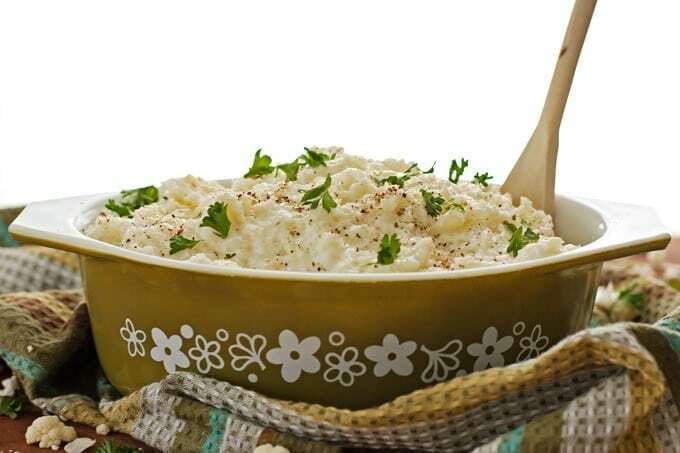 Cauliflower is a healthier alternative to potatoes that cuts down on the calories and add vitamins and minerals. 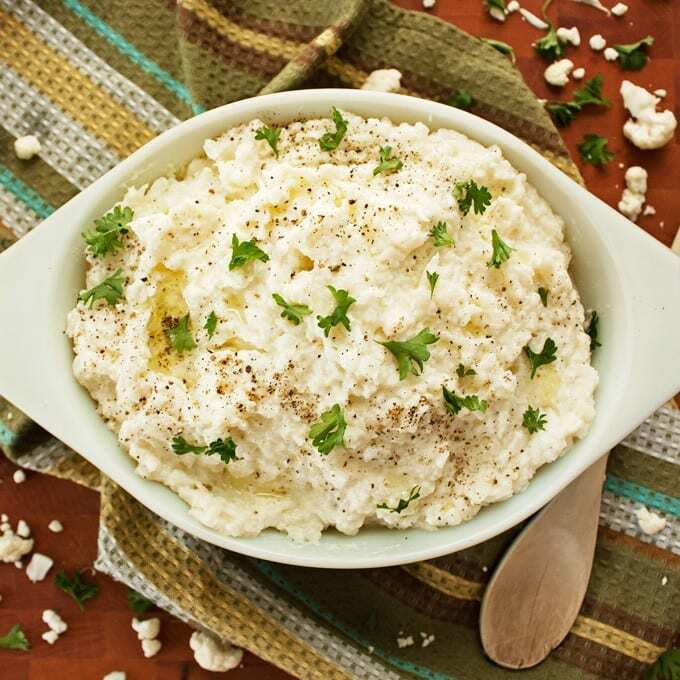 The greek yogurt adds protein and helps the mash thicken, and the olive oil makes everything smooth. Making the mash is super easy. First, cut the cauliflower into florets – about the size of typical broccoli pieces – discarding the green leaf. You can use the white stem, it will just take a little longer to soften. 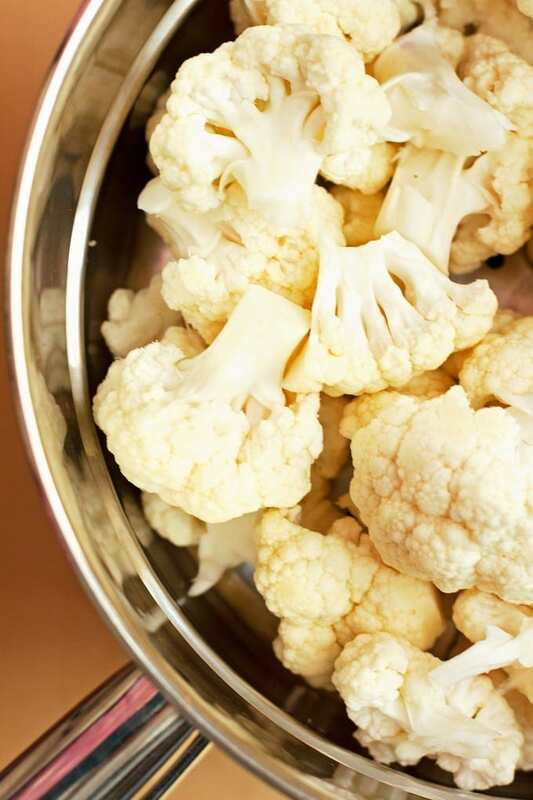 15 minutes in a steamer is the easiest way to soften the cauliflower. If you don’t have a steamer you can microwave it covered with a little water or even roast it in the oven for a deep caramelized flavor. To mash the cauliflower, I’ve found that a stand mixer with a whisk attachment on medium-high works well and takes only a few minutes. Start on a lower speed first as the mash may spatter. 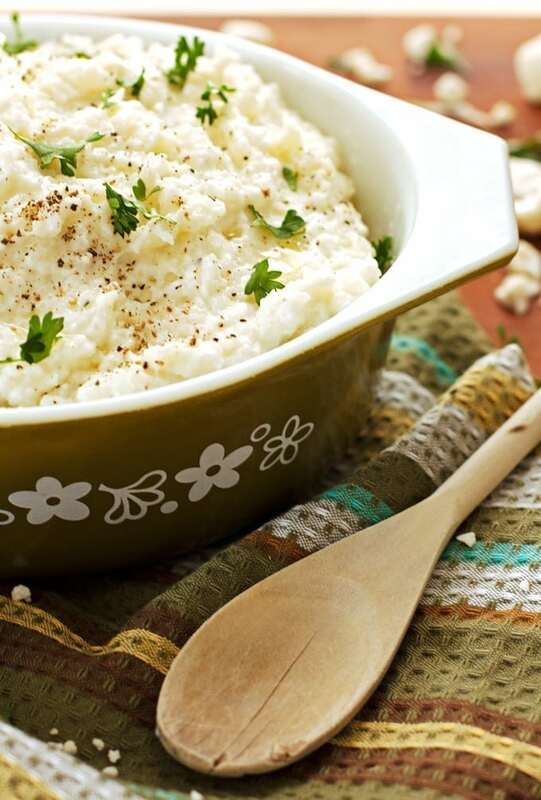 These cauliflower mashed potatoes are definitely on the menu the next time I host a holiday dinner. Give these a try (maybe for Thanksgiving or Christmas!) and let me know how it goes! Combine cauliflower, 1 cup yogurt, and olive oil, and mash together (I used an electric mixer on low with a whisk attachment). Add in enough of the remaining yogurt to reach the desired consistency. Salt and pepper to taste. Add a drizzle of olive oil if desired and serve immediately. I love what you can do with cauliflower! It’s my new favorite vegetable besides squash. I make a cauliflower fried rice and definitely making this cauli mash for Christmas since the hubs and I are Paleo right now! Thanks for the recipe!